Primary Head teacher Job Opportunity 2019. the authority of BPSC and DPE has been decide to requite 20,000 head teacher on primary school. Recently a press release was publish on the local daily newspaper. According to press release they recruit 20,000 head teacher above the whole country. The Directorate of Primary Education (DPE) and Bangladesh public Service Commission (BPSC) has been decide that 20,000 Primary head teacher will be requite in Primary school. Recently local daily newspaper was publish a press release about this recruitment. Recently some of the authority of dpe has been tell that primary head teacher job circular will be publish soon. They are arrange a meeting for this tropic. At this time about 16000 head teacher post are vacant. So, it is very important to requite this post as soon as possible. The authority says that more than 20000 vacant post in primary head teacher post. As a result the education system not work properly desire school. Now it is time to recruit head teacher. Some days ago the public service commission recruit some head teacher post as a non cadre section. See Primary Assistant Teacher Job Circular. After 7 years the authority decide to recruit primary head teacher. It occurs first time when the post of head teacher improved 3rd grade to 2nd grade. This requirement process will be control by public service commission. 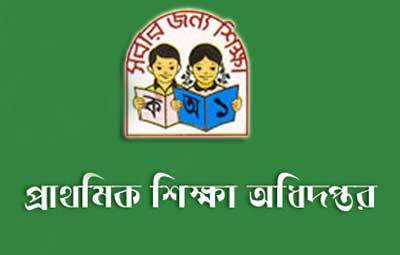 Primary Head Teacher job circular will be publish at first www.dpe.gov.bd website. Then we are publish the circular as soon as possible. At first the Primary and Muss education Ministry count how many post are vacant in primary head teacher. It may be total 20,000 post. Then they will publish a circular according to the amount of vacancy. See Government Nurse Job Circular in Bangladesh. The circular has not publish yet. When the authority of DPE will publish the circular then we are publish that at first. So if you are interest of this job then you will prepare yourself for the competition of primary job exam. Because now a days peoples are choose this job to build up their career. This year Primary job exam was taken by Bangladesh Public Service Commission. If you are want to won the competition then prepare yourself. When the circular publish we update all information about this job.